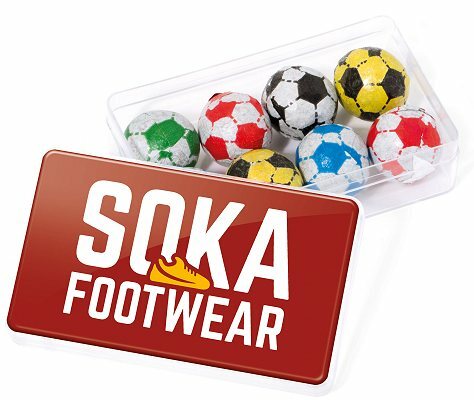 A Maxi Rectangle clear plastic box branded with your artwork in full colour, filled with 8 Foil wrapped Chocolate Footballs. Kick off the next football championship or footie event. In the promotions game, you'll qualify.